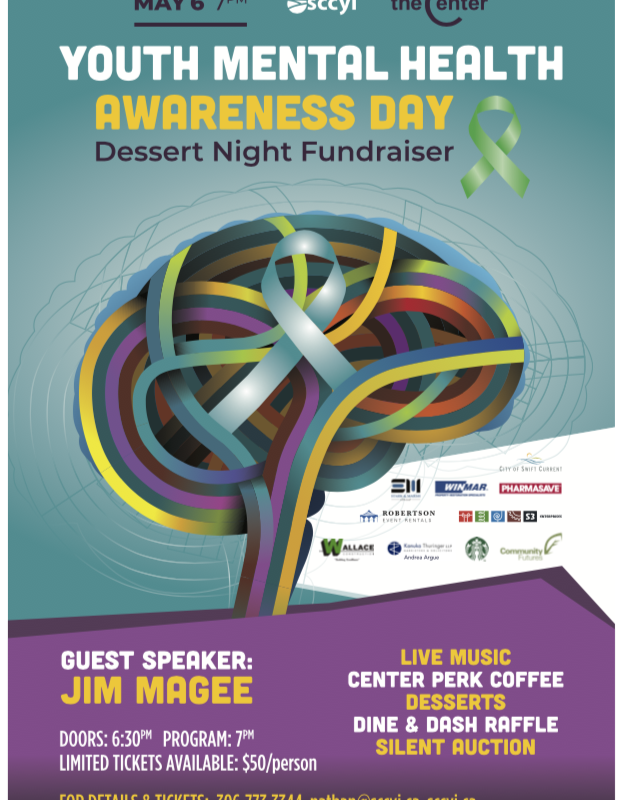 The Center is excited to host an event on May 6th for Youth Mental Health Awareness Day. 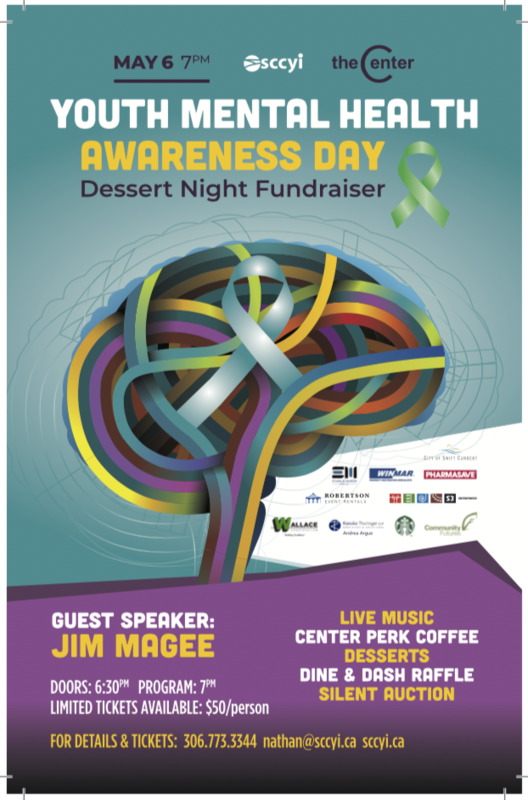 It will be a Dessert Night fundraiser that will see the Center Staff, youth, and various volunteers and supporters come together to bring awareness to Child and Youth Mental Health. We will have silent auction items, desserts, artwork, live music, and much more! Most importantly, we are pleased to welcome back Jim Magee to speak on the subject of youth mental health. With a long career as a counsellor and as the former Executive Director of The Center, Jim has a unique and powerful story that sheds a bright light on this subject. If you’re wanting to reserve tickets act quickly. We have only a limited amount of seating in the Center!